Greetings from Germany, we have a bag for you today that is simple and effective. 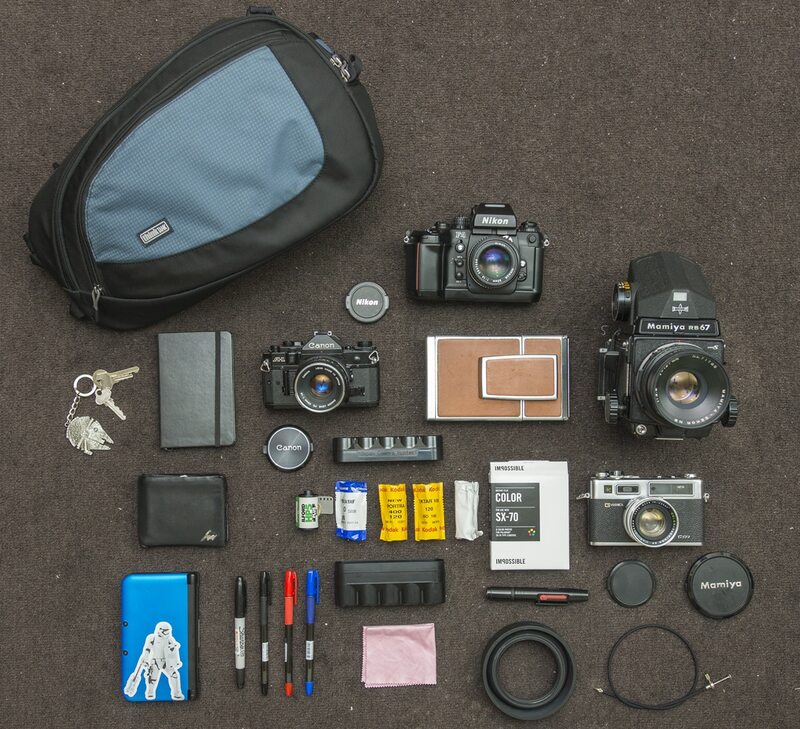 Dirk is a professional photographer and has offered to show us his personal project bag. Check it out. 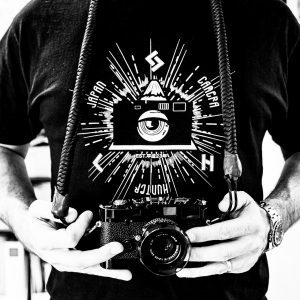 My name is Dirk, I’m 43 years old and freelance photographer based in Germany. 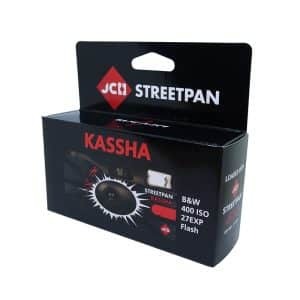 For jobs I use a Canon 5D Mark II and a Leica M9. 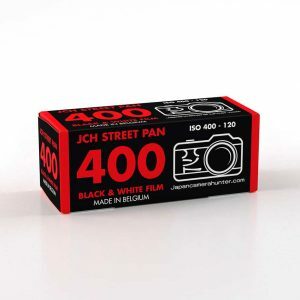 But for my free projects I use black and white films and Leica rangefinder cameras. So I published books with portraits of jews in Germany (http://vogel-d.de/JP/index.html) and of civil rights activists of East-Germany, 20 after the Berlin wall falls (http://vogel-d.de/Frei/index.html). 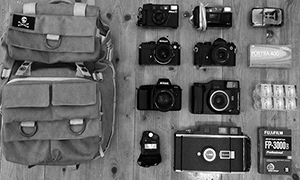 I have several Leica M and R cameras M3, M2, M4, M5, 2xM6 and R6.2 and R8 and different bags, mostly Billingham Bags. This bag is a Brady Bag for fishermen. 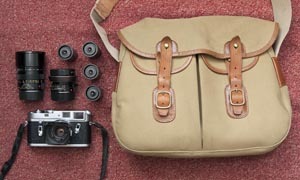 I had it from ebay and I use it with a Billingham Insert small. A shoemaker extend the belt for me. 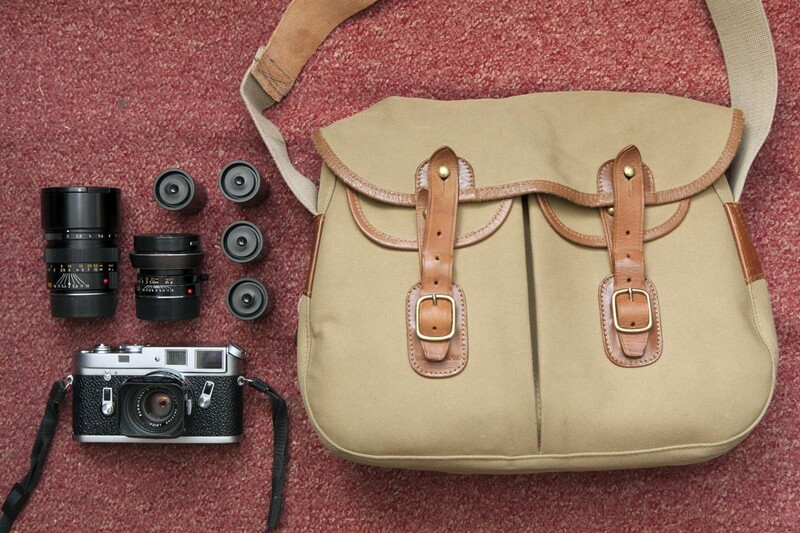 This is my bag for roaming around, taking pics in the street or landscape. 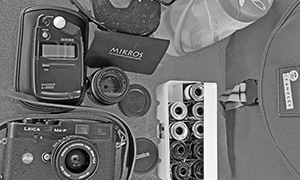 In the Brady Bag I carry a Leica M 4 rangefinder wit the Summicrons 35/50/90mm and some Agfa APX 100. 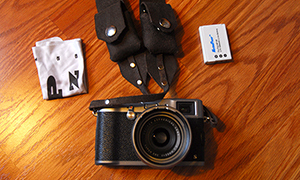 The M4 is from 1969, my year of birth, and a great gift of my very close friend Rainer, photographer too. He found it for me at ebay. It worked very well but the finder wasn’t so clear. In April I sended the camera to Leica Customer Service and they restored the cam for more than 800€! But it’s so lovely and beautiful now! Thanks for sharing your bag with us Dirk. 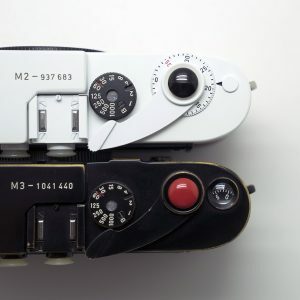 I love the story of the birth year Leica. 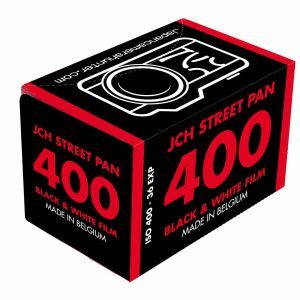 I would love one myself, but the only Leica that was manufactured during my birth year was the M4-2, which I am not really after. Had I been born 2 years earlier I could get an M4 MOT, that would be awesome. Great bag Dirk, simple is sometime best!!! 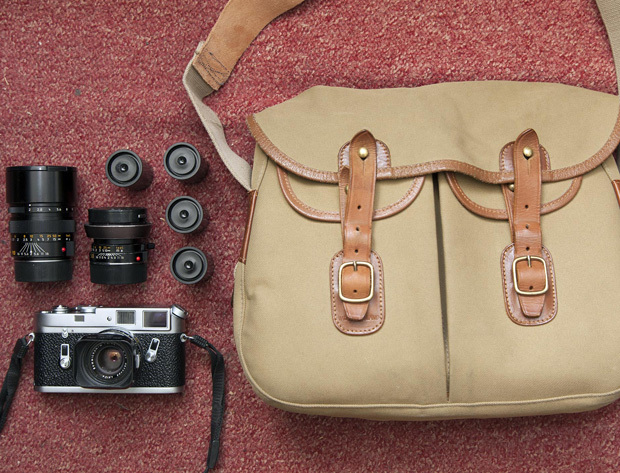 Lovely bag, i really like the M4. Wow – Dirk – we are similar. Born 1969, with M4 to match age! Also have 35 and 50 Summicrons!